Shipping Solutions® Software With more than 2,500 customers across the U.S., Shipping Solutions software makes it fast and easy to create a variety of export documents, file through the Automated Export System (AES), and meet export compliance responsibilities. Companies can use Shipping Solutions software as a stand-alone application or link it with their accounting, order-entry or ERP system. Ninety-seven percent of U.S. exporters are small- and medium-sized companies, many of which have very little training in import-export best practices and their compliance responsibilities. International Business Training offers a variety of training materials including books, seminars and webinars. It's never been easier for companies to get started in international trade, but staying compliant with import-export regulations is just as hard as ever. ExportCompliance.com offers subscriptions to international trade compliance tools to help companies stay compliant and avoid penalties. © 2012 InterMart Inc. InterMart, Shipping Solutions, International Business Training and their respective logos are registered trademarks of InterMart, Inc. 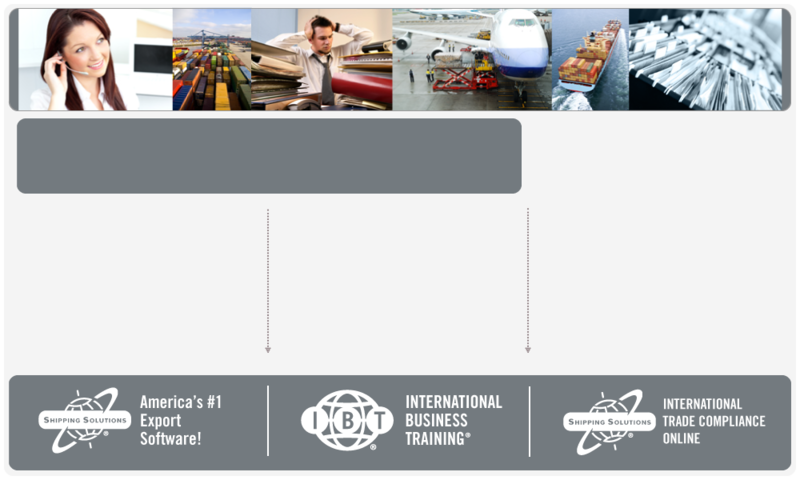 Since 1995, InterMart® has been providing software and educational solutions to U.S. companies to help them successfully import and export their goods on time, on budget and in compliance.